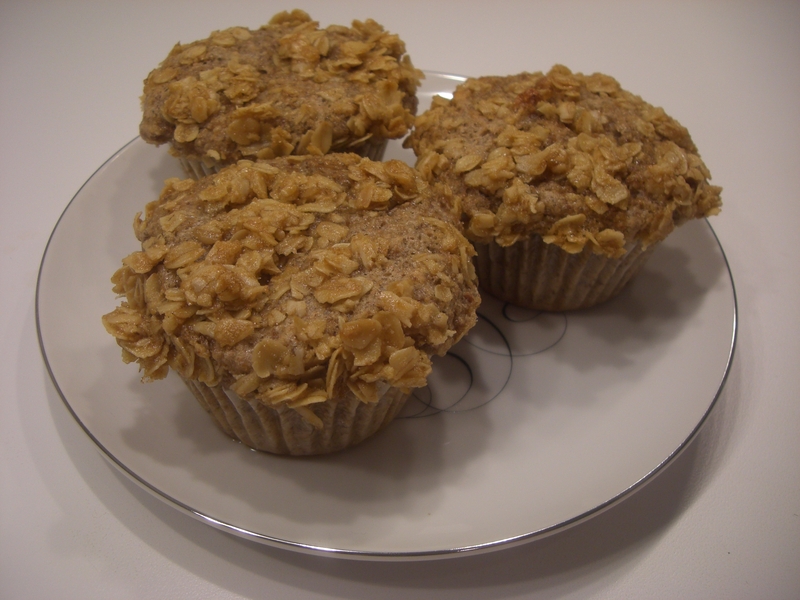 These are a hearty heart healthy treat, packed with omega-3’s ! You can find ground chia seed at Whole Foods and other finer markets. Combine wet and dry ingredients in separate bowls. Add banana mixture to flour mixture and stir just until moist. Divide into 12 muffin cups and bake at 325 for 25 minutes, or until a wooden pick inserted in the center comes out clean. Cool for 10 minutes in pan on a wire rack, then remove from pan. Cool on wire rack. Option: Top with a mixture of oats, butter (I use Smart Balance) and brown sugar for a crunchy topping.